Technology is ever-evolving. 50 years ago, architects were still hand-drawing their blueprints and now computer drawings are universal and have only improved over time. Virtual Reality, or VR, is defined as a computer-generated simulation of a 3D image that can be interacted with in an artificial experience. 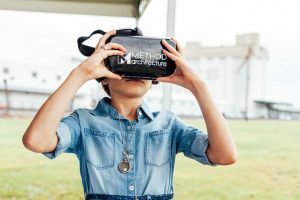 Virtual reality as a tool for architects is coming to life and is changing architecture by allowing architects to be immersed in their design. VR has an abundant amount of advantages for architects and designers with the intent of a design coming to life in front of an individual. Virtual reality headsets were used at the Buffalo Bayou Brewery’s groundbreaking for investors, members of the community, and employees to view the future brewery. One of the biggest challenges in architecture when working with clients is having them understand and visualize the design within a particular space. Floor plans, 3D renderings, and models are all used for this, however, these tools can fall flat in communicating specific ideas to clients. This is where the immersive experience of VR can help out. Architects sometimes have to convince clients that the finished product will come out better than the 2D and 3D models while with VR, the next-to-real-life experience gives a better comprehension on what to expect. Additionally, clients are able to interact with the space, walk in and out of rooms, and see the design decisions as if it is completed. Clients can ‘step into’ their completed project before construction has even begun and have an immediate understanding of the designer’s ideas. They can envision the design from any and all angles. Virtual reality can also be used to improve the effectiveness of collaboration between contractors, engineers, and designers. Architects, engineers, and contractors all have different ideas for the development of a project which can result in miscommunication and mistakes. 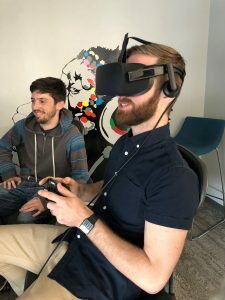 Utilizing virtual reality throughout the design process helps each team collaborate more effectively as they have a more robust understanding of the project. Before the introduction of VR, 3D renderings were used by architects, showcased to clients and put away; typically, never seen by any other team members associated with the project. However, VR is easy to show to other team members to help build a better understanding and improve team collaboration on a project. VR can also be used as an effective marketing tool to show off and announce a project. Showcasing the future project in virtual reality can help promote the work for all firms involved. VR can been used just as extensively in designing a space as it is used in visualizing a space. When designing a project, changes sometimes occur after seeing the space in person. This becomes a costly issue when walls have already been built and a client needs to make changes. With the introduction of VR systems, a designer is capable of visualizing different design solution within the program and fix any issues before the project is built, which is more efficient and cost effective than modifying a physical space. This assists with avoiding rounds of revisions and allowing real-time changes during meetings from wall colors to furniture choices which streamlines the design process. Virtual realty is a high end technology that is revolutionizing the way we work and communicate in the architecture and construction industry. However, expensive software and equipment has proved to be a difficult barrier to overcome for small firms and clients, its typically a privilege of big firms and their corporate clients. At Method Architecture, we think this technology should be accessible by all clients, large and small. The benefits of using VR far outweigh the cost for both the client and the design team. Modeling and viewing a project in virtual reality allows for a more realistic visual experience of a design and overcomes the scale and perspective limitations of a flat 2D plan, image, or rendering. Clients, contractors, and the design team are able to more fully discuss and understand specific details and design intentions when viewing it virtually. This allows problems and costs to be hashed out much earlier in the process, leading to a smoother construction phase. Our ego-free approach to this problem was finding low cost alternatives that allowed clients the same experience at a fraction of the cost using existing apps and tools like Google Cardboard and other easily accessible resources. The future of virtual reality and augmented reality platforms is limitless. We are only at the beginning stages of developing and utilizing this technology to its potential. Soon enough, VR tools will be as synonymous in the workplace as email communication. This technology will be a staple in the design process rather than a tool for only presenting the project. Beyond the design aspect, this technology will aid in better constructability, increased collaboration, higher quality control parameters and an overall smoother client experience. So the real question is… what’s next? Jason is our technology coordinator at Method Architecture. He expands and refines our Revit standards and libraries to create uniformity throughout the three office locations. 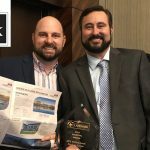 He also provides resources and employee-training to help the firm completely transition to Revit as its primary design software. Jason is always researching and aiming to implement new hardware and software that will enable Method to remain at the forefront of the latest technology trends.